The Bee Family Centennial Farm Museum is the historic preservation of an original homestead founded at the start of development of Northern Colorado. It as been maintained as an active family farm since 1894 and is designated a “Centennial Farm” by the State of Colorado Department of Agriculture and the Colorado Historical Society. In 2002, the farm was placed on the National Register of Historic Places. 140 acres of the original 160 acre farm has been placed in a conservation easement and sold to Colorado State University. 10 acres has been retained for the museum site. 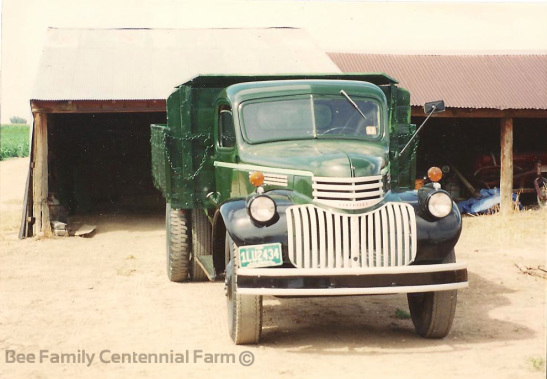 The historic farm facility is operated as a non-profit enterprise providing an educational resource for the region to document and celebrate the agricultural history of Larimer County and Northern Colorado. The Farm Museum invites visitors to tour the farm and participate in planned activities surrounding the farm’s history and family heritage. Thousand of artifacts including farming equipment, cars, wagons, living necessities, letters, diaries, pictures and the homesteads themselves have been organized and preserved dating back to 1894. The Bee Family Centennial Farm is a unique educational environment. Here audiences discover a “minds-on” museum experience. Compelling hands-on exhibits capture the significance of agricultural history and illustrate fundamental farming know-how. Educational programming and tours demystify the world of agriculture. Displays of photographs, and artifacts from the Bee Family collection document the human drama of life in rural Northern Colorado. The Bee Farm Museum invites visitors to explore, engage and have fun while learning the history and future of Larimer County agriculture in an authentic historic setting. Visitors will leave the Bee Farm enriched. Farming is a creative enterprise. The ability of the Bee Family Centennial Farm to illustrate growth and change over time is among the Bee Farm’s most exciting interpretive strengths. The Bee Farm has been in continuous use for 115 years. The sweeping array of farm structures and the earth beneath them are the site’s most significant artifacts. Buildings ranging from a 1890s farm house to a machine shed only 2 decades old have been moved, altered or adapted to new technologies and the ever-changing demands of the farm economy. Here is a dose of American ingenuity in a 10-acre capsule.